Chandler's Roofing proudly features and installs quality roofing materials supplied by GAF Materials Corporation, North America's largest manufacturer of residential and commercial roofing products. As the leading Master Elite Contractor in Southern California since 2002, Chandler's Roofing is able to offer you unparalleled roof warranty options and unbeatable workmanship guarantees.  Additionally, Chandler's Roofing holds GAF's Certified Green Roofer and SlateCrafter status, as well as GAF's prestigious Solar Elite contractor recognition. CertainTeed is a leading North American manufacturer of building materials including roofing, vinyl and fiber cement siding, trim, fence, railing, decking, foundations, insulation, gypsum, ceilings, and pipe products. Headquartered in Valley Forge, Pennsylvania, CertainTeed has approximately 7,000 employees and 70 facilities throughout the United States and Canada. Through its Vision, Mission, Values and Objectives (VMVO) initiative, CertainTeed strives to be the preferred choice for innovative building products and systems by delivering a superior Customer experience to a broader market through the development of exceptional team performance and world-class processes. Concrete, Slate and Clay tile roofs are all a smart choice for homeowners, architects, builders and remodelers. Whether your interest is durability, color selection or energy efficiency, we have the tile roof to fit your needs. A tile roof installed by Chandler's Roofing will provide architectural distinction, add durabilty and enhance the 'curb appeal' of your home. Whether you are staying in your home for years to come or plan to sell your home in the near future, a tile roof will help increase the home's value. Tile roofs can help to lower energy costs by reducing heat transfer through air circulation under the tile and through the inherent insulating properties. When you consider that a tile roof will last for the life of the structure, the full life-cycle cost of the roof is quite affordable when compared to other roofing materials, especially if proper underpayments are used. According to a 2007 study from the National Association of Home Builders, concrete clay, slate and copper tiled roofing materials will last a lifetime if installed and maintained properly. Titan® Mechanical Standing Seam panels feature a seam that's mechanically locked into place, providing the highest degree of strength. They are available in a range of panel widths with varying seam heights; select the seam height, panel width and options best suited to your job. Click on the architectural color selection chart for available finishes, but request an actual metal sample for final paint and color selection. Synthetic roofing systems are a terrific alternative to traditional shingle materials. These composite roof shingles, such as Davinci Roofscpaes, EcoStar and Inspire are virtually indistinguishable from real slate and wood roofs. Boasting Class A fire ratings, Class 4 impact-resistance, strong warranties and lightweight systems, these polymer-based roofing systems, though more expensive than asphalt shingles, provide an incredible traditional look, with long life expectancies.